When it comes to training our Warﬁghters, serious simulation is serious business. SlideWave is proud to be working alongside the University of Central Florida and the U.S. Army Advanced Training Systems Division (ATSD) at the SFC Paul Ray Smith Simulation and Training Technology Center (STTC) in Orlando, Florida. Real-time simulation requires high performance execution without compromise. In a demanding 3D environment, even a 10 point drop in framerates can cause human agents to feel out of place and stuck in an unnatural environment. When the MOSES team went looking for peak 3D simulation ﬁdelity, they chose the Halcyon platform, coauthored by SlideWave’s David Daeschler, for its realistic physics implementation and raw performance even under the heavy load of dozens of simultaneous users in the same virtual space. The Halcyon 3D platform has been production tested and stands up to even the most brutal loads with complex user created scripts inside the virtual environment. Tuned over time with real users, in real scenarios, in a variety of network conditions, it is a perfect ﬁt for demanding tasks in 3D. Halcyon has been tested with active duty and reserve personnel in an Operational Environment at multiple global locations, including a U.S. Army Regional Training Institute. As part of our joint work with MOSES, we are co-developing a web based 3D client using the latest WebGL based technologies. The purpose of the web client is to make the simulation more accessible to even the most hardened networks over standard HTTPS and websockets. Our optimization work, combined with the efforts of the rest of the team has proven in just a few months that it is possible to get decent frame rates as well as the ultimate portability of web based 3D. Interested to learn more about how our Warﬁghters train to stay safe in hostile environments? 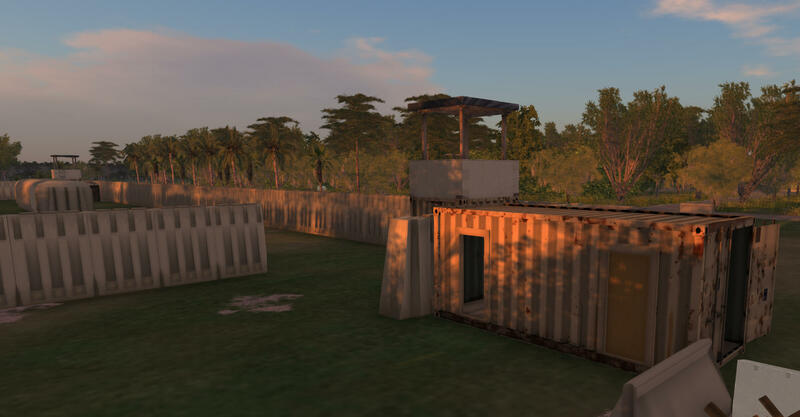 Visit Military Metaverse to see the groundbreaking work being done by the MOSES team.